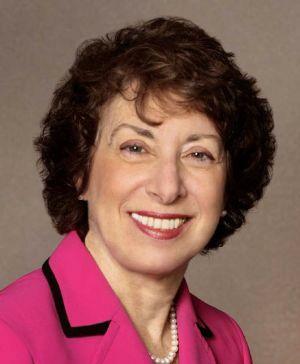 As head of a taxpayer-funded, federal government research agency, Linda Birnbaum should be focused on using government funds to promote unbiased, sound scientific research. Unfortunately, Birnbaum’s National Institute of Environmental Health Sciences (NIEHS) has become the go-to funding source and publisher for scaremongering science. Birnbaum drew fire for her participation in a panel promoting the anti-chemical film “Unacceptable Levels” during her tenure as head of NIEHS. The film features interviews with a representative of the Autism Society—an organization that still makes the dangerous and unfounded claim that vaccines could cause autism—and a host of radical environmental activist groups, including the Natural Resources Defense Council, Environmental Working Group, Earth Island Institute, and Safer Chemicals, Healthy Families. Birnbaum’s association with the Autism Society is especially troubling given that NIEHS has an entire program dedicated to autism research and has published research debunking the autism-vaccine myth. Most other autism advocacy groups have thoroughly rejected this dangerous anti-science position. As head of NIEHS, Birnbaum oversees the agency’s publication, Environmental Health Perspectives (EHP). In 2011, EHP published a study from the Environmental Protection Agency (EPA) in which the agency’s researchers subjected human test subjects to dangerous levels of air pollution to test the impact on heart function. After a FOIA request revealed that EPA’s report in EHP had omitted data from 40 other human experiments conducted by EPA researchers that contradicted the study’s findings, Steve Milloy, a biostatistician and securities lawyer, emailed the editorial board of EHP about the findings. NIEHS, despite being governed by the Public Health Service Policies on Research Misconduct issued by the Department of Health and Human Services, failed to take any action against EPA’s failings even though the rules specifically define researcher misconduct as including falsification, “omitting data or results such that the research is not accurately represented in the research record.” Milloy wrote to Birnbaum requesting an investigation under federal law, but Birnbaum declined to investigate a clear case of researcher misconduct. Bisphenol A (BPA), a compound used in wide array of plastics and other consumer products, is one of the most researched and talked about chemical compounds. The vast majority of government bodies who have reviewed research into BPA have ruled that the chemical is safe at normal exposure levels. In fact, the U.S. Food and Drug Administration (FDA) published two recent studies that found BPA is safe at normal exposure rates. Similarly, the EPA has found no negative health effects from BPA exposure. But all this data hasn’t stopped Birnbaum and NIEHS from launching an anti-BPA crusade. The program is disbursing more than $30 million in grants for BPA research. And under Birnbaum’s direction, NIEHS’s Health Science Administrator, Jerry Heindel who is “responsible [for] developing and administering the NIEHS grants program in endocrine disruptors” works side by side with scientists to whom he has granted taxpayer funds for anti-BPA research—a questionable conflict of interest. With all that money invested in BPA research, NIEHS has shown that it may go too far in its anti-BPA conclusions. The agency’s EHP published a study that claimed BPA caused breast cancer in rats at “human relevant” levels. But the study’s authors and EHP had to walk back the study’s claims after Forbes pointed out that the data didn’t actually support the original conclusion.